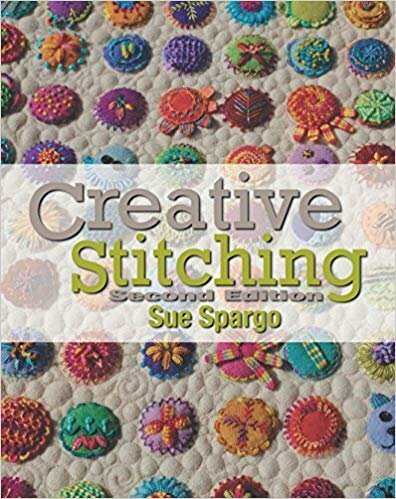 Beginning in February 2019, Pat Willis and Sue Peltz will partner with Wool Club to embark on a path to learn embroidery stitches using Sue Spargo's Creative Stiiching, 2nd edition. This is an ongoing class that will meet during Wool Club, every 4th Thursday of the month, 2:00 PM - 5:00 PM. We will be practicing and learning new stitches on a piece that will be turned into a cute zipper pouch. 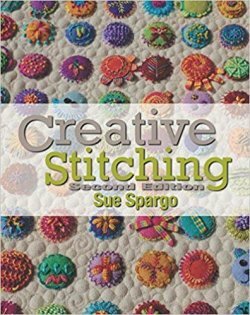 Spend the afternoon learning beautiful stitching using wool with the many projects in Sue's book. PS...Wool club is open to anyone working on their own project. Creative Stitching is an addition for those who want to learn fancy stitches. All supplies, except basic supplies, are available for purchase at the shop. An interest in learning new embroidery stitches. Please bring your own scissors, pencil, paper, and any floss you have in your stash.